We have 20 cabins to suit all tastes and budgets set in park-like surroundings with many mature trees. We have 30 power sites and 30 non-power sites suited for campervans, caravans or tents. There are 2 amenity blocks with all accommodation close by, these are serviced daily. We are able to cater for family groups and small sports teams. We only accept guests aged under 25 years if staying with a parent or coach. We are able to cope with demand for campsites when there are special events in our city, due to our normally large sites being used by 2 units. There is a play area in the middle of our park, suitable for children under 13 years, and an area for gentle ball games. We are situated just 2km from the centre of Hamilton with New Zealand's longest river, the mighty Waikato, running through it. Walkways have recently been upgraded that take you directly into Hamilton Gardens. A Countdown supermarket, a chemist and a café are a 5 minute walk away on Peachgrove Road. Hamilton is New Zealand's largest inland city and the fourth largest urban area, having a population of around 150,000 people. Hamilton has a mild climate and moderate year-round rainfall keeps the city and surrounding area very green. Its mean temperatures are 20°C in January (summer) and 15°C in July (winter). Hamilton has 135 parks and gardens and 58 sports areas with over 1,000 acres of open space within the city. Hamilton is home to the 26,000 person capacity Waikato Stadium, which hosts national and international events throughout the year. Seddon Park, again in the city, is where you will find national and international cricket games. The stadiums are just a 30 minute walk from our park. The Claudelands Event Centre is a 10 minute stroll down the road. Other sports venues are close too, including Day Street, which hosts tennis and karate competitions. 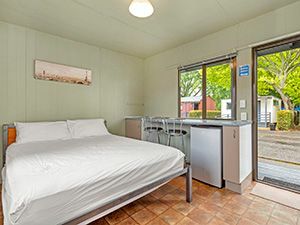 Waikato Hospital is within a 10-minute drive of our holiday park. 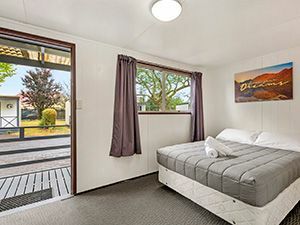 We are close to bus stops that will take you into the heart of our vibrant city, which has a large café culture plus many pubs and clubs, or jump on Hamilton's Orbiter bus service. They run both clockwise and anti-clockwise around the city every 15 minutes Monday through Saturday. 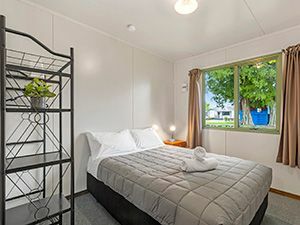 Te Awa and the Base, as well as Westfield Chartwell, provide excellent out-of-town shopping areas, both of which are just a short drive away, or accessible on the bus. Heading away from the city we are a 15 minute walk to Waikato University. On the other side of the city is Wintec, on Avalon Drive, which is only a 15 minute drive away. Across the road is the ATC training centre and AgResearch campus. Hamilton has 3 swimming pools open to the public – Waterworld, Gallagher Aquatic Centre and an open-air pool in the summer at the University. Lake Karapiro is approximately 35 minutes drive away, which is where MAADI cup is held every 2nd year. We have plenty of space for boat trailers if required for school groups. Hamilton International Airport is only 20 minutes drive away and Auckland Airport is approximately 1.5 hours. Opposite Hamilton Airport is Mystery Creek, which annually hosts the popular Fieldays event. Something for the children and young at heart are Donavans Chocolates and Hamilton Zoo, all nearby. Waitomo Caves and Otorohanga Kiwi House are 1 hour away. Within 45 minutes you can be at Matamata (Hobbiton), Raglan or Tirau and if you have an hour and a half you can reach Auckland or Rotorua, or Tauranga on the East Coast. Hamilton is a great place to base yourself for day trips. 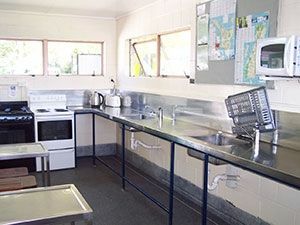 There are plenty of eating options for an evening meal in one of the local restaurants catering for a wide variety of tastes and international styles.